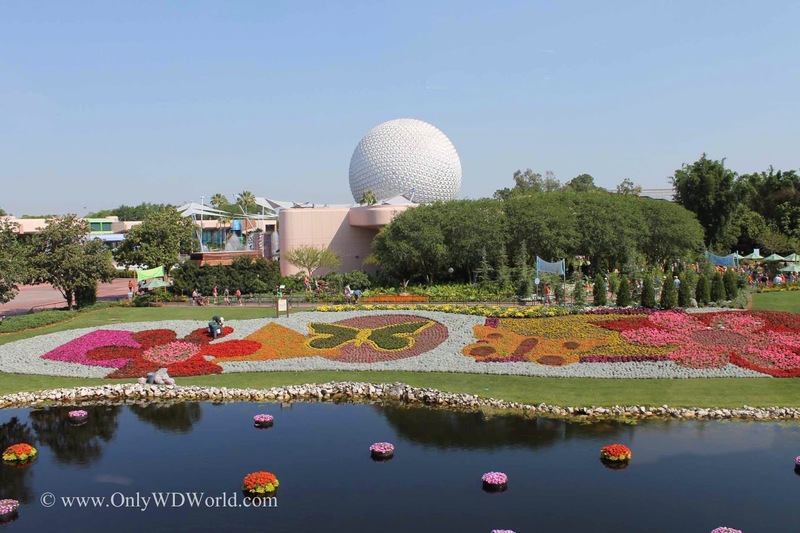 Home � Disney World Food , Disney World News , Disney World Special Events , Epcot , Epcot Flower and Garden Festival , Events , Outdoor Kitchens � 2014 Epcot International Flower & Garden Festival Presents Outdoor Kitchens To Enjoy! 2014 Epcot International Flower & Garden Festival Presents Outdoor Kitchens To Enjoy! As Spring approaches it means the return of the Epcot International Flower & Garden Festival for 2014, bigger and better than ever! Experience a taste of several fresh Florida ingredients, each grown and produced locally. It’s a perfect opportunity to treat your senses to some of the most delightful fruit and drink the Sunshine State has to offer! Florida Fresh can be found next to the Germany Pavilion. Feast of Flowers Farmhouse Ale, Florida Beer Company (Cape Canaveral, Florida) – Festival Exclusive! Journey near the Japan Pavilion where the annual ritual of admiring springtime flowers is in full bloom. From delectable bites to refreshing beverages, uncover how Hanami’s flavors reflect the season. Make your way near the Mexico Pavilion where the tapas are spring light and cooked just right. Don’t miss your chance to take part in this festival of flavors, complete with savory tacos and mouthwatering cocktails. Indulge your senses in extravagance at this tasty milieu influenced by the “flower of the lily.” Once a royal emblem used by the French monarchy, the symbol now serves as inspiration for this decadent stop where you can refine your palate with some of the France Pavilion’s most magnificent culinary masterpieces! Hit the pavement near the China Pavilion for a garden-fresh take on spring-influenced flavors. Appease your cravings with a wide variety of Chinese cuisine, including popular street foods and bubble tea! Enjoy the Great White North with a tropical twist at the Canada side of World Showcase promenade. Then, get ready to hear your sweet tooth say, “Thank you!” as you bite into all kinds of treats featuring this popular golden fruit. Say, “Ciao!” to spring as you set sail for a land of garden-fresh foods near the Italy Pavilion. On your stop, be sure to explore the countryside’s many flavors—caprese, manicotti, torte di ricotta and fine Italian wines. Embark on a trek near the Morocco Pavilion and educate your tastes on North African spices. Each unique flavor has been paired with fresh ingredients and can be sampled with Moroccan beer and wine at this garden oasis. Urban Farm Eats – NEW! Honor the earth and all it grows with a refreshing selection from this location’s all-natural menu. Choose from a hearty array of foods and beverages, many of which have been cultivated entirely from the soil! Celebrate the truly American tradition of slow-cooked flavors near The American Adventure Pavilion. Sink your teeth into savory barbecue meats and then pair each one off with craft brews from across the country. Delight in elegant afternoon-tea offerings and fresh garden flavors near the United Kingdom Pavilion. Drop by this charming locale to sample scrumptious treats, British teas and beverages inspired by lovely English fruits and fragrances. Dig into your day or turn over the evening at this charming stop found right within the Festival Center. Pop inside to find all kinds of fine food and beverages—wine, cheese, wraps, salads and more! 0 comments to "2014 Epcot International Flower & Garden Festival Presents Outdoor Kitchens To Enjoy!"